The cultural-historic heritage of Samokov has been presented in several theme displays in the History Museum. The name of the town is a remarkable cultural fact reflecting the cause of its foundation and development around the enormous mechanical hammers used for iron mining and called „samokovi”. The display „Samokov- Spirit and Metal” has been dedicated to the importance of the town as an ironmining, craft and cultural centre. Archaeological findings testify to metallurgic traditions, thousands of years old. The active miniature models of iron-melting furnaces „vidnya” and of the mechanical hammers „samokovo” visualize the origin of the name of Samokov. 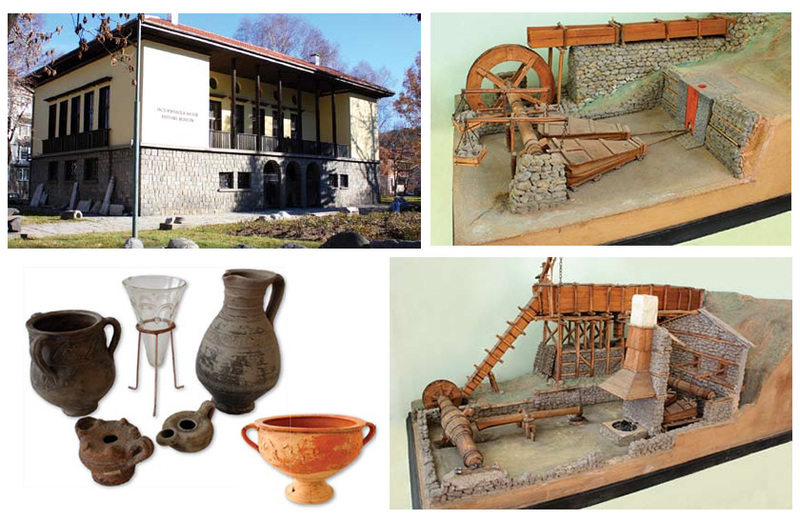 The crafts during the time of the Bulgarian National Revival (19th c.) – textile manufacturing, goldsmith’s trade, pottery, coppersmith’s have been presented with samples and tools. The processing of semiprecious stones after antique patterns used to be a very rare craft. It is interesting to learn that in the middle of the 19th century a glass factory was opened in Samokov where gifted masters from the towns of Karlsbad (Karlovi Vari) worked. 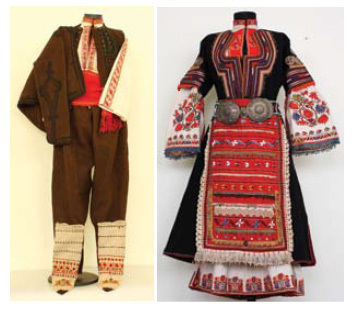 The traditional way of life during the 19th century and from the beginning of the 20th century has been presented with national costumes and embroideries from the Iskar region, typical of the villages in the district of Samokov. 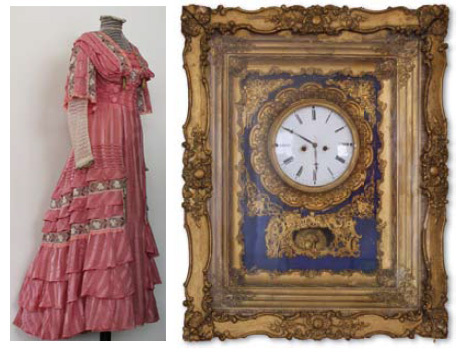 Women’s suits made in the latest European fashion from the second half of the 19thcentury, imported clocks, embroideries and others give an idea of the town culture and the modernization of Samokov public at the t me of the town’s most significant state of prosperity. Used text and photos of „Samokov Guide“-Authors: Nina Hristovskа, Nevena Mitreva, Desislava Kanazirova, Lyubomir Nikolov.